The second edition of the SOCO task focuses on cross-language source code re-use detection. Participants will be provided with cross-language training and test sets of source code files. The task is about retrieving the source code pairs that have been re-used across programming languages. 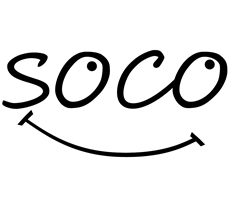 In this second edition SOCO focuses on cross-language source code re-use detection. Source codes will be tagged by language to ease the detection. You are provided with a set of source codes written in C and Java languages. The task is about retrieving the source code pairs that have been re-used across programming languages. This is a document level task, so no specific fragments inside of the source codes are expected to be identified; only pairs of source codes. Participants are asked to determine whether a source code has been plagiarised across programming languages. The Java and C collection contain 599 source codes numbered from 001 to 599. Reuse is commited across programming languages. Re-used cases are those with the same file number (e.g. 011.c ↔ 011.java). It is divided by programming language (Java and C) so you do not need any pre-process to identify the programming language of the source codes. The Java and C collection contain 79 source codes numbered from 000 to 078. Cross-language source code re-use is only commited from C to Java language. Evaluation Script Run as "python clsoco15-eval.py"
The detection of source code re-use is established between C and Java programming languages. Arwin, C., Tahaghoghi, S. (2006). Plagiarism detection across programming languages. In Proceedings of the 29th Australasian Computer Science Conference, 48, pp. 277-286. Australian Computer Society, Inc.
Flores E., Barrón-Cedeño A., Moreno L., Rosso P. (2014) Cross-Language Source Code Re-Use Detection. In: Proc. 3rd Spanish Conf. on Information Retrieval, pp. 145-156. Flores E., Rosso P., Moreno L., Villatoro-Tello E. (2014) PAN@FIRE: Overview of SOCO Track on the Detection of SOurce COde Re-use. In Proceedings of the Sixth Forum for Information Retrieval Evaluation (FIRE 2014).